On March 18, a robot-driven Volvo operated by Uber hit and killed a pedestrian in Arizona. Advocates for automation maintained that the tragedy shouldn’t detract from the likelihood that driverless technology is eliminating human error and making driving safer. But the death, and a fatality five days later that involved Tesla’s Autopilot driver-assist system, were unusual in another way: They were rare instances in which driverless-car companies were forced to share data about how their systems work, in this case with investigators. A schism is developing in the driverless-car world — but not between fans and foes of robot cars. Instead, on one side are driverless-car advocates who believe data transparency will lead to safer deployment of driverless vehicles and help alleviate public fears about the strange and disruptive new technology. On the other are some automobile and technology companies that, for good commercial reasons perhaps, prefer to keep their workings cloaked in mystery. The lack of transparency about the workings of sensors, logic processors, mapping systems and other driverless technology, like the debate over robot-car regulation, could shape public perception of the nascent industry, said Bryant Walker Smith, a law professor at the University of South Carolina. “Essentially, [the public will be] looking to see whether these companies are trustworthy,” he said. The stakes are high. Driverless-vehicle technology is expected to roil major segments of the world economy, and market forecasters predict several hundred billion dollars a year in revenue for the winners. Already, semi-autonomous technologies such as Tesla Autopilot are operating on public roads, with deployment of driverless ride-hailing services from Waymo (a subsidiary of Google’s parent, Alphabet), Lyft, Cruise Automation and others due this year or next. To understand the controversy, and the effect on public safety, it helps to know what data are being collected and how such information might be put to use if it were made more visible. Most people are familiar with the idea of a “black box,” technically known as an event data recorder. They have been used for decades in the airline industry to help investigators evaluate crashes. But similar devices have become common in cars and trucks to record data on speed, steering, braking and the like over the few seconds before, during and after a crash. The data issue today goes far beyond the black box, however. It now extends to cutting-edge robotic systems that use sophisticated sensors, complex computer chips and advanced software to take over some or all of the driving tasks that a human being normally would perform. The technology companies that create them are taking different approaches to engineering the systems. Industry and government have yet to determine how to use the data they generate after a crash. In the Uber death, a video recorded by a dashboard camera — turned over to and released by Tempe, Ariz., police — showed the driverless-car system failed to brake for the pedestrian. It left open the question of whether the system sensors might have failed to notice the pedestrian at all. Uber’s reaction was to apologize, then dip into some of its $15 billion in investment capital to pay the victim’s family in a legal settlement, thus avoiding a public trial. Uber declined to make a company executive available to discuss data and transparency on the record, as did Waymo, Tesla and Lyft. Other companies — including Zoox, Nutonomy and General Motors, parent of Cruise Automation — agreed to talk. Even driverless-car advocates are growing concerned about the silence from the industry’s major players. 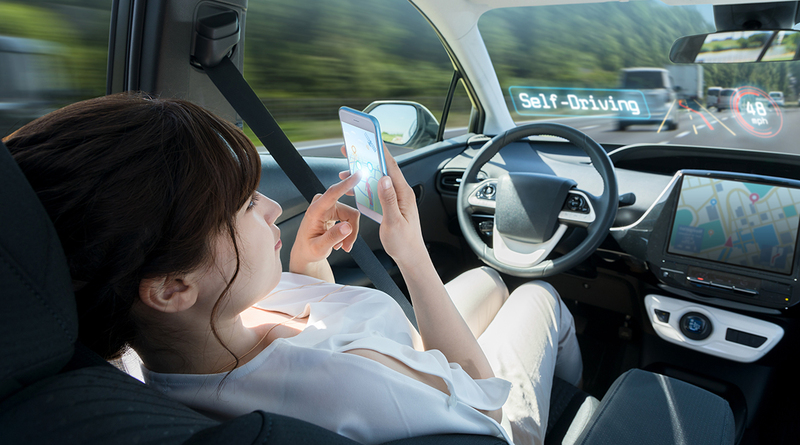 Grayson Brulte, a well-known consultant in the driverless industry, worries that recent polls have consistently shown the public is wary about driverless technology, while companies appear reluctant to engage with the public. Alain Kornhauser, who heads the driverless-vehicle program at Princeton University, said he believes that robot cars will improve safety, reduce driver stress, add productive time to the day and offer the elderly and disabled more independence. But the technology is far from perfect, he said, and some robot-induced deaths are inevitable. Rather than wall off the lessons learned in fatalities such as the recent Uber and Tesla incidents, Kornhauser said, the companies should be sharing crash data with one another, with outside researchers and with the public. And not just black-box data, but driverless-system data as well. That would make driverless cars safer and faster, he said. “Uber should not gain a safety advantage over everyone else because they were involved in this crash,” Kornhauser said. “All of the video, radar, lidar and logic trails in the seconds leading up to the crash should be released to the public. Current policy in some ways confuses the situation further, Kornhauser said. After the Tesla Model X fatality in Mountain View, Calif., on March 23, Tesla CEO Elon Musk defended the Autopilot system and seemed to blame the driver. He also repeated Tesla safety numbers that statistics experts have described as problematic. Musk’s words caused a public spat with Robert Sumwalt, head of the National Transportation Safety Board, who kicked Tesla off the investigative team. Kornhauser suggested that transportation officials might be better off allowing objective data to be released while banning speculation that might favor a company or other party involved in a crash. Elements of the aviation safety model could be applied to driverless technology, he said. Airlines face far stricter requirements than automobiles on black-box data, and they confidentially share data with one another to improve safety. Eventually, government investigators reach conclusions and some of the data is made public. But there’s no sign of that happening anytime soon, voluntarily or via regulation. Trump administration agencies have not said much about driverless-vehicle policy. Legislation is working its way through the Senate that would allow manufacturers to sell thousands of driverless cars each year to individuals, but the bill barely touches on data transparency. A similar bill quickly passed the House of Representatives last September. The nonprofit Advocates for Highway and Auto Safety, which represents a broad range of safety advocates, is pushing for changes in the Senate bill, including the creation of a public database that would publicize defects and operational issues with commercial driverless and driver-assist systems — similar to the National Highway Traffic Safety Administration’s safercar.gov site. In a letter sent recently to Mitch Bainwol, CEO of the lobby group Alliance of Automotive Manufacturers, the safety group noted that the Senate bill requires only that driverless-car companies “describe” their systems. “As such, manufacturers will continue to submit slick marketing brochures … instead of providing actual data and documentation that will allow the public and NHTSA to accurately evaluate the safety of the technology,” the letter said.